I am just loving the beautiful weather for these last couple weeks of summer in New England and can’t soak up enough of this record-setting September heat. Today was the perfect kind of day (well over 90 degrees!) 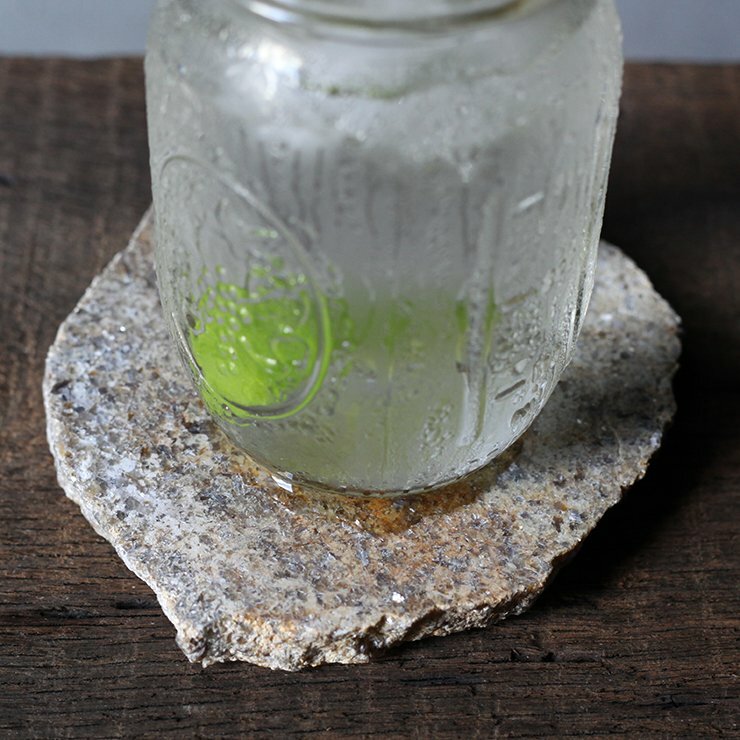 to show off how crazy absorbent our stone coasters are, even when the condensation is literally pouring off your glass. I headed outside in the stifling heat, and found a good spot with a bit of shade just inside the garage opening to our warehouse. I started with a fieldstone Mason Coaster that we handcrafted from stone gathered at Connolly Brothers Dairy Farm in Temple, NH. 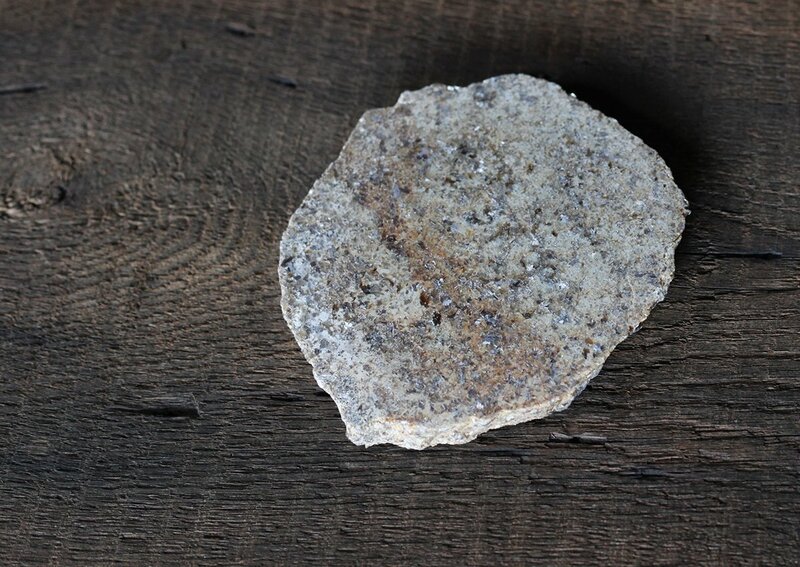 This is a gorgeous rust colored rock with specks of gray and white and small bits of mica throughout. 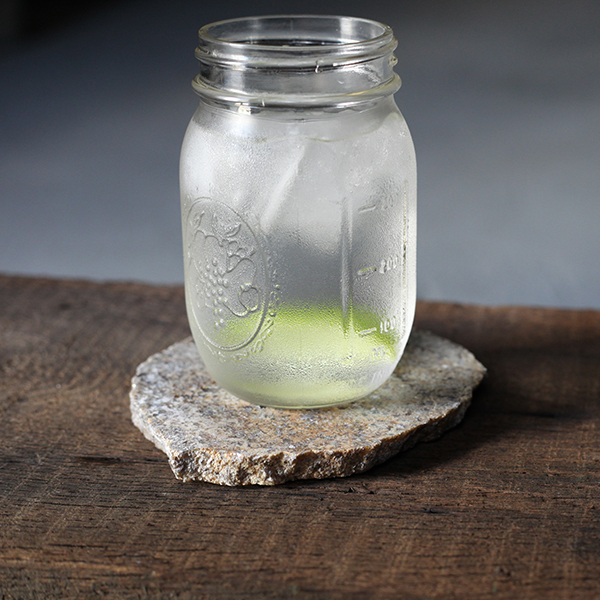 I filled a medium sized Ball jar with ice cubes, spring water, and threw in a slice of lime for good measure. Then I started the timer! I captured the stone after 10, 20, and 30 minutes to show how the stone handled the heavy condensation coming off the glass. Check out the results! At this point, the stone had already soaked up the majority of the water that came off the glass. Since most of the ice had melted, I decided it was a good time for me to drink all of the water and let the stone dry back out. 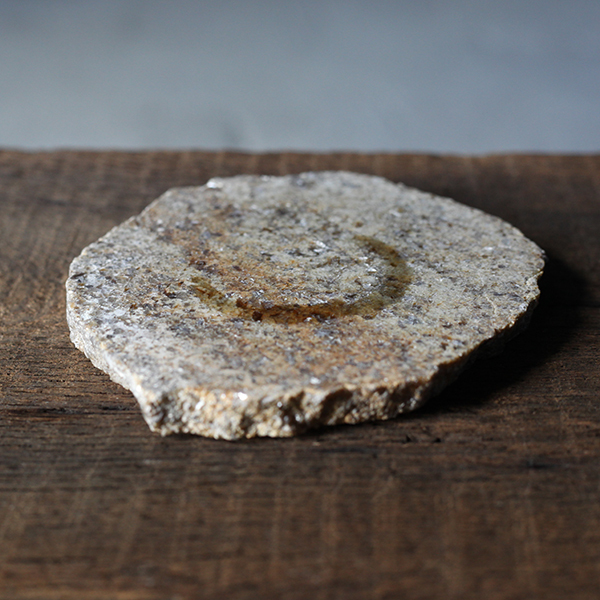 After an hour or two the stone coaster had dried completely and returned to its natural state. Does the glass slide off the coaster when there is a lot of condensation? No, never! Nobody wants slip-n-slide action on their coaster. 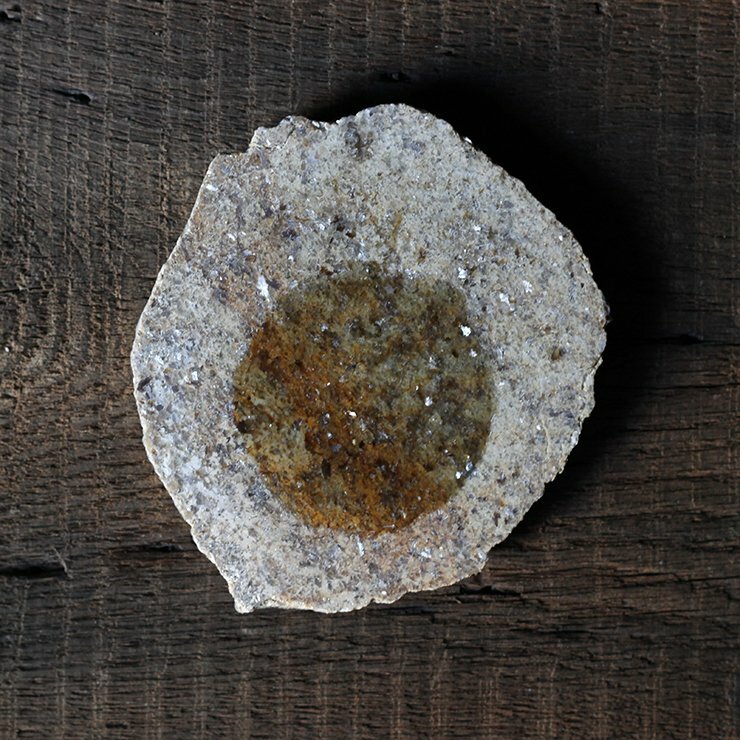 Our coasters have a honed finish, where the pores of the stone remain quite open making them naturally absorbent, and preventing too much liquid from building up on the surface. Does the coaster ever stick to the bottom of your glass and get picked up with it? Again, this never happens! 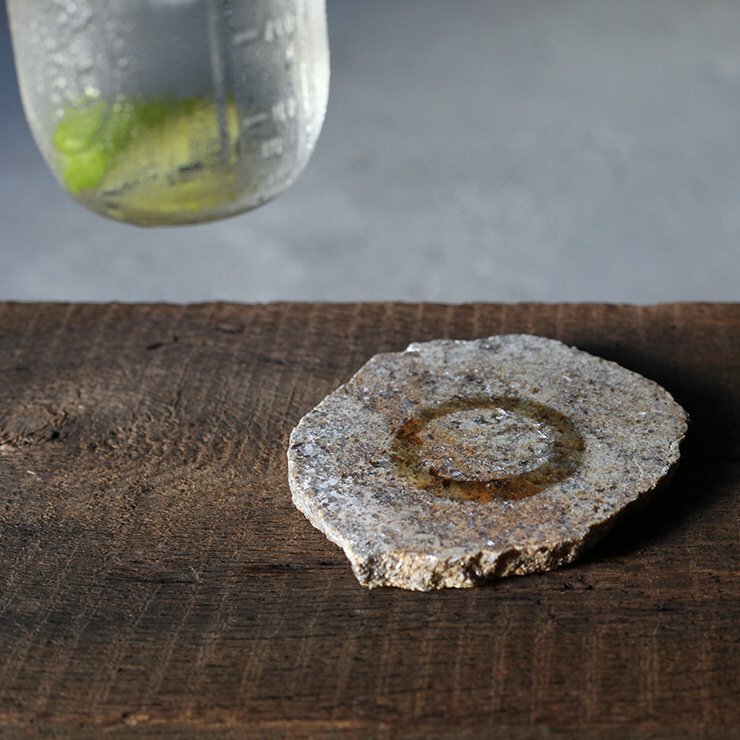 Since our coasters are solid natural stone and 1/2″ thick they are guaranteed to stay put when you lift your glass off. We are always adding more listings to our online shop, so make sure to check out the Coaster listings if you’d like to add some rustic farmhouse decor to your home and bring a little bit of New England nature and farm land inside. 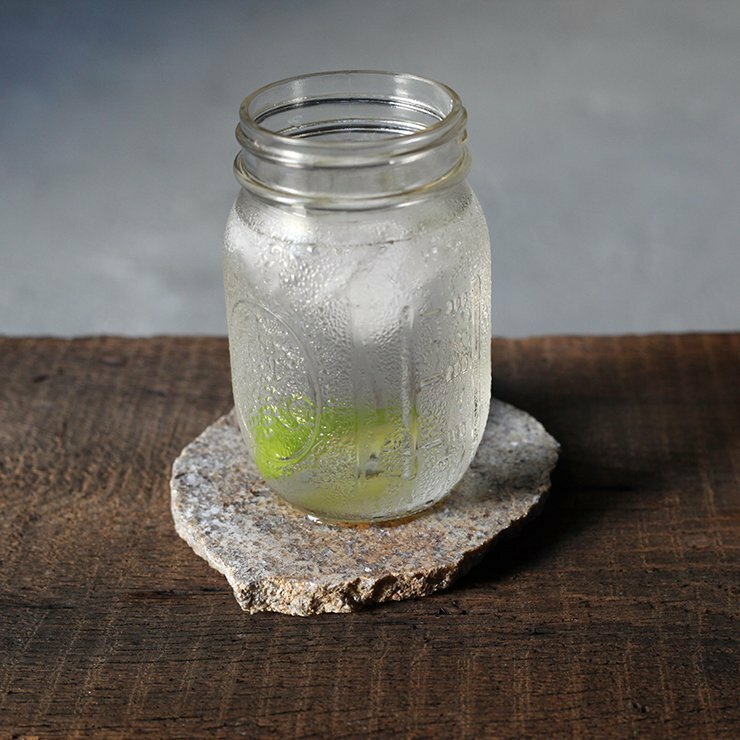 This entry was posted in Products and tagged coaster, connolly brothers dairy, Fieldstone, handcrafted, handmade, mason coaster, natural stone, nh.